When we wash our face we remove some of the natural oils from our face during the process. In order to replenish the lost oil and moisture, it is important to accompany the cleansing ritual by regular application of a moisturizer meant for your skin type. A lot of people have this belief that people with oily skin don’t need a moisturizer since their skin is already oily. But the truth is that even oily skin needs moisture. 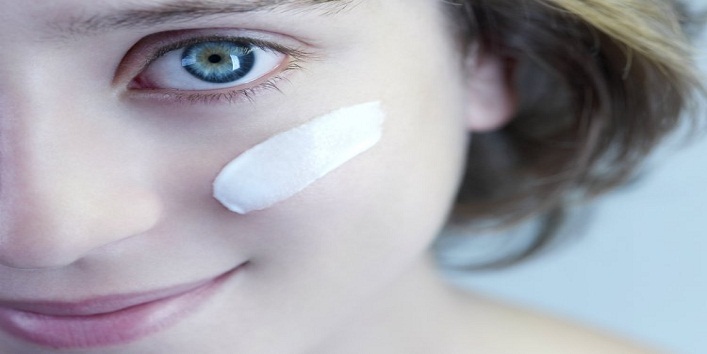 Topical application of moisturizer ensures that your oily skin does not produce excess oil. Though the main area of focus while choosing a moisturizer for oily skin is that you should look for an oil-free formulation which won’t clog your pores. To make your choice easier, here are the top 7 oil-free moisturizers that are perfect for oily skin. 1. 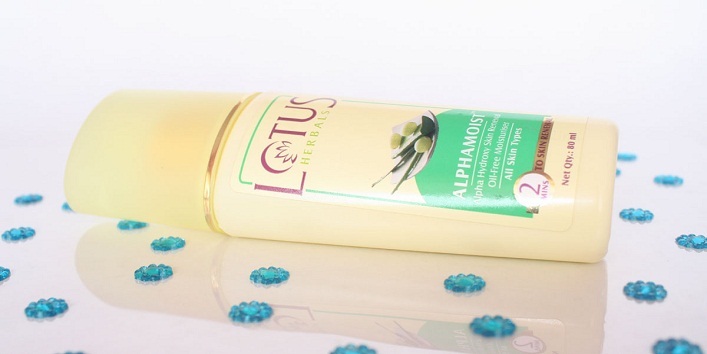 Lotus Herbals Alphamoist Alpha Hydroxyl Skin Renewal Oil Free Moisturizer- This moisturizer from the brand Lotus is a perfect accompaniment for oily skin. The alpha hydroxyl extract derived from plants moisturizes the skin, provides a vibrant glow and smoothes out the texture of the skin. It is a water-based light weight moisturizer especially meant for oily and combination skin. It moisturizes the skin well and keeps it hydrated for good 6-7 hours. 2. Neutrogena Oil Free Moisture SPF 15- Neutrogena is not an unheard name in the skincare world. This brand is particularly well known for its products that are specially designed for oily skin and acne prone skin. 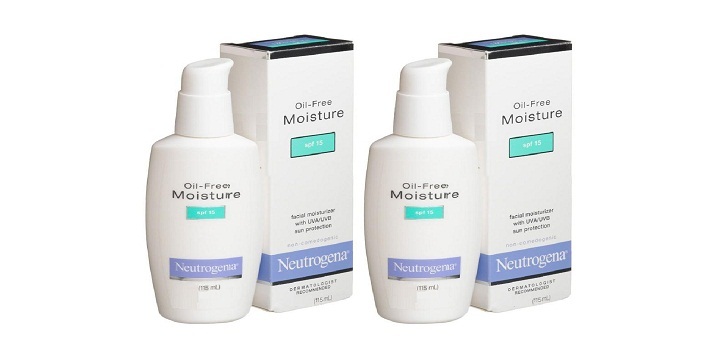 This oil free moisturizer by the house of Neutrogena is a boon for oily and acne prone skin. It moisturizes the skin without leaving behind any oiliness. It also comes with SPF 15 UVA and UVB protection, so that you don’t have to use a separate sunscreen. 3. 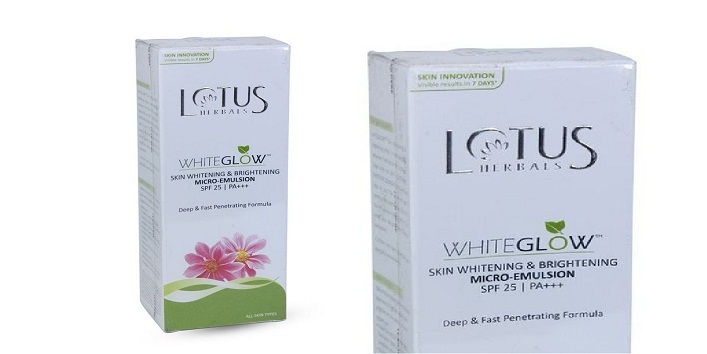 Lotus Herbals Skin Whitening and Brightening Whiteglow Micro Emulsion SPF 25- Another great product by lotus which works absolutely well for oily and acne prone skin. Its triple action formula and grape extract along with mulberry extract and milk enzymes not only moisturizes the skin but also brightens the skin and lightens marks. The moisturizer does not contain any harsh products and hence is perfect for sensitive skin. 4. 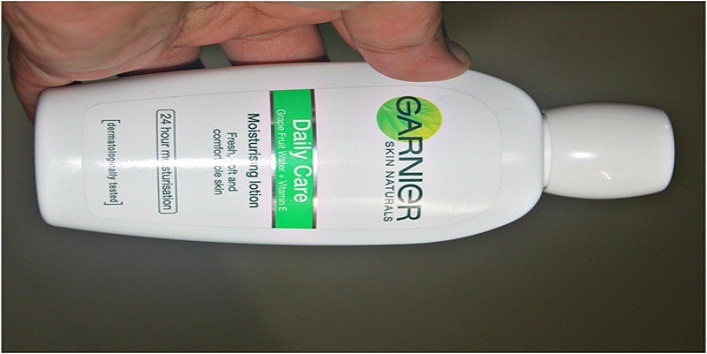 Garnier Essentials Daily Care Moisturizing Lotion- This lightweight moisturizer has micro-captors in it which absorb the excess oil from the skin, leaving fresh and oil-free. The vitamin E ensures that the skin is guarded against the free radicals thereby helping to fight against the signs of aging. The moisturizer comes in a bottle packaging which is very travel-friendly. The texture of the lotion is very runny and thin and gets absorbed into the skin quickly. 5. 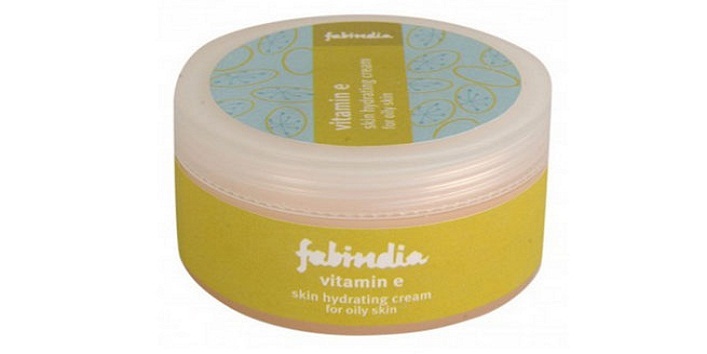 Fabindia Vitamin E Skin Hydrating Cream For Oily Skin- Fabindia is a brand that is well known for its natural, handmade products. This cream is enriched with the goodness of Vitamin E, jojoba oil and aloe vera. The cream is very lightweight, almost a serum like consistency and gets easily absorbed by the skin. 7. 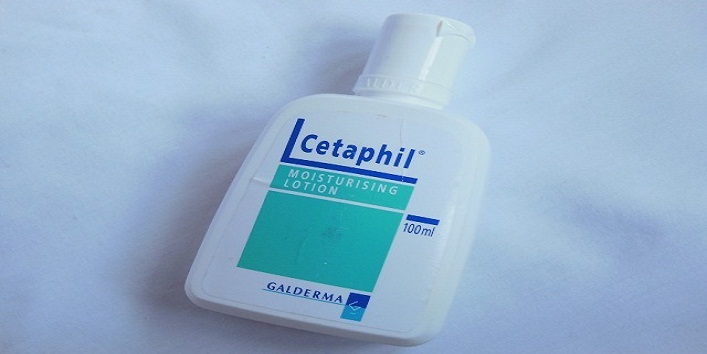 Cetaphil Moisturizing Lotion- Cetaphil products are best for you if you oily acne-pone skin. This is a non-greasy formulation that is suitable for almost all skin types. It is much lighter than the Cetaphil moisturizing cream and contains emollients and humectants which are proven to lock the moisture into the skin thus preventing moisture loss.